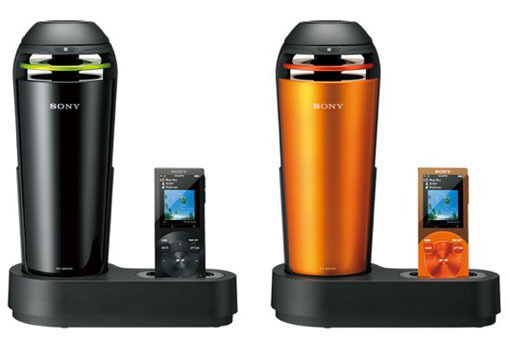 Sony RDP-NWV500 speaker is specially made to fit in your car’s cup holder. This portable 2-way speaker dock is producing 16W of 360 degrees audio from its 56-mm woofer and 20-mm tweeter. The speaker can be operate through its top-mounted controls and also the included remote control. This speaker will draw power from the car’s accessory socket. The Sony RDP-NWV500 speaker is available at $214.